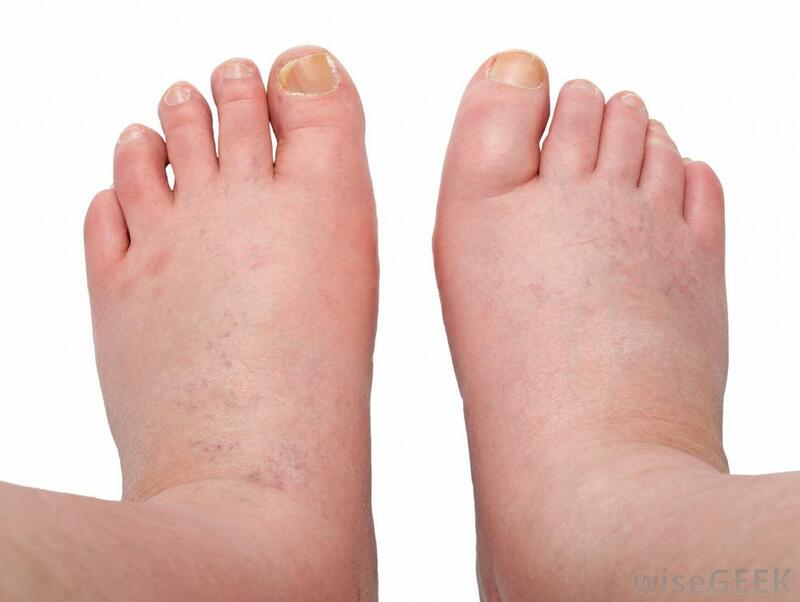 Swelling of the hands, ankles and feet is caused by many different things and can occur in people of all ages. The causes can be as simple as high heat, standing too much or eating too much sodium, or it could be a sign of another health issue. For most people, however, swelling in the hands, feet and ankles is not life-threatening and can be treated easily by taking a few precautions or making small lifestyle changes. In most cases, a person who experiences swelling occasionally can reduce it with home remedies. However, if swelling persists on a regular basis, see a doctor. There may be another underlying cause. Reduce sodium in the diet – Too much sodium in the diet causes the body to retain water and contributes to the swelling. Lower the amount of salt added to foods when cooking monitor sodium in processed foods. The American Heart Association suggests eating less than 1,500 milligrams of sodium per day. Drink plenty of water – Not drinking enough water sends a message to the body to hold onto the water it already has stored, and causes hands, feet and ankles to swell. Drinking at least 64 ounces of water each day will keep the body hydrated and help it to expel extra fluids properly. Don’t stand or sit for long periods of time – Standing or sitting for long periods of time can cause ankles and feet to swell. Try sitting with feet and ankles propped up above the heart for 30 minutes to relieve the swelling. Avoid alcohol and caffeine – Drinking too much alcohol or caffeinated beverages can cause swelling in the hands, feet and ankles. Eat a healthy diet – Eating a balanced diet rich in fruits, vegetables, protein and whole grains keeps the body’s system working properly so the body doesn’t hold onto excess fluid. Avoid extreme temperature changes – According to the Mayo Clinic, changes in temperature can aggravate swelling. Avoid hot tubs, saunas, hot showers and baths and take care when out in hot temperatures. Try a diuretic – Taking a diuretic (water pill) may help ease swollen hands, feet and ankles. Do not take during pregnancy unless advised by a doctor. Exercise regularly – Regular daily exercise has been shown to help reduce swelling. Swelling of the hands, feet and ankles is uncomfortable and sometimes painful but it can be reduced by making a few lifestyle changes. If swelling occurs on a regular basis, seek medical attention as it may be a sign of a more serious health issue.